wild-harvested South carolina oysters. direct-from-the-farm pricing. Buy directly from us, the farmers. Maggioni Oyster Company is South Carolina’s largest provider of premium quality wild-harvested bushels and single oysters. It’s hard work but quite simple. We harvest our oysters at low tide, wash off the briny mud, and deliver them directly our customers. There is no middle man to slow things down or increase our prices. That means that our customers enjoy the freshest oysters possible — directly from the mariculture farm. You actually taste the ocean in every bite. 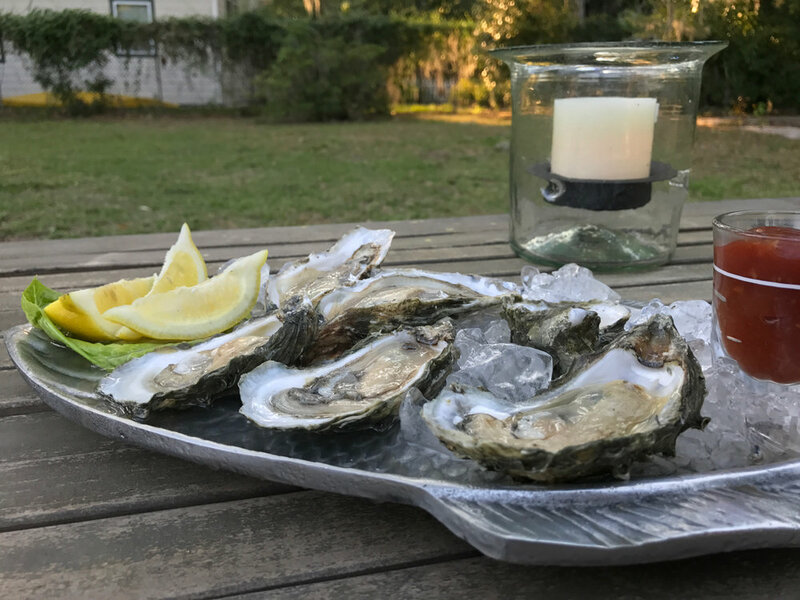 Whether its a platter of wild-harvested oysters for your next dinner party or several thousand a week for your bustling restaurant, Maggioni Oyster Company can deliver. We can also roast ‘em onsite — and bring everything you need to host-the-roast including oyster roast tables, napkins, hot sauce, butter, and oyster knives. Contact us to discuss your next order. Ask for Jeff, (912) 844-1031. Maggioni Oyster Company is at the Port Royal Farmers’ Market every Saturday from 9:00AM to noon. Come on out, get a taste of our mouth-watering oysters, and say hello. Salty and delicious Roddy Rocks on the half-shell. Maggioni Oyster Company Oyster Roast. Maggioni Oystermen cleaning the day’s wild-harvest. Bushels of wild-harvested Maggioni Oysters.